The Bonspiel Cabaret is 3 acts on one theme and all funny. We have a guest to warm your palate. We have a guest to make you think. Then we have improv that will make you melt. Check out our guest from July 29th! 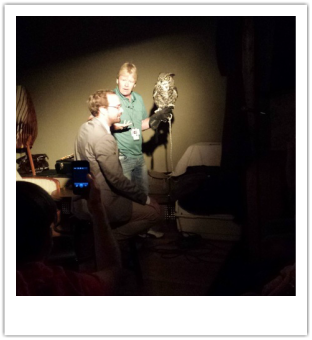 James Gangl interviews an Owl from the Canadian Peregrine Foundation! Next Show: November 29, 2015 @ 9pm!